Well I went ahead and cranked out another copy of the SIMH for MS-DOS package, which includes a new emulator this time around, the SWTPc 6800. It includes a disk image for Flex 2.0, and I’ve also switched the DOS extender from DOS4G/W to DOS-32A. Well I updated the packages for SIMH last night, and I’ve included the win32s stuff and MS-DOS builds. This ought to allow some old schoole to have some fun! I have also decided that the MS-DOS version (being the lowest common denominator) should include some kind of ‘sampler’ of OS’s so that you can see right out of the gate what simh is capable of. 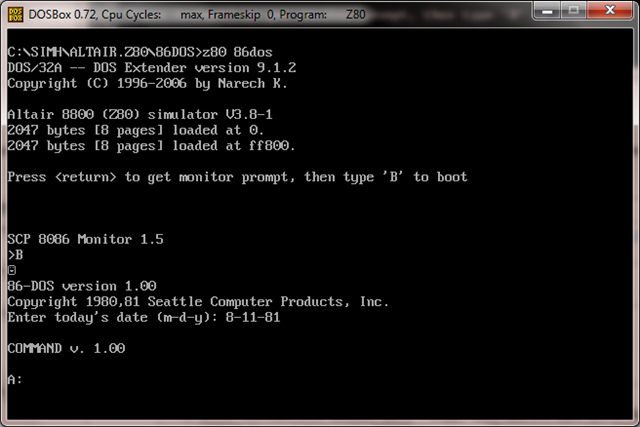 Naturally you can download the MS-DOS version, and simply replace the exe’s with stuff for windows/win32s/linux etc.. This is a quick survey of SIMH 3.8-0 for MS-DOS. I’ve built these exe’s with Watcom C++ 11.0a. You can break out of any of the simulators by pressing CONTROL+E. All of the EXE’s are for the MS-DOS environment, and I’ve built them with DOS/4GW in mind. I will have to say that an initial test shows that running this stuff under a DPMI server like Windows or OS/2 provides better performance then native switching.. It could be my PC, however I’d recommend anyone who uses these EXE’s to try them natively and under Windows 3.1 at a minimum.. Because all of the MS-DOS nature of these programs, no disk files can be over 2 gigabytes. I don’t know if that’ll be an issue but of course you can have multiple files/partitions as I recall MS-DOS 5 having a 2 gigabyte file/partition size limit..
For anyone running this natively I have included only one copy of dos4gw.exe in the root of the zip. 2. The Altair 8800 z80 emulator. numbers so I know it’s kind of old.. I really don’t know much otherwise about this machine. Both of these unix’s were taken from the files iu6swre.zip and iu7swre.zip respectively. bootstrap the system, as it doesn’t just ‘turn on’.. Otherwise it should be comparable to Unix v6 on the PDP-11 or any other v6. This should be the first port of Unix outside of Western Electric. There is no halt/reboot/init 0, so I just sync the disk a few times, and then interrupt the emulator and quit. This pretty much follows in the steps of the Unix v6 above. This is the research version of UNIX v7. Company, Inc. and the University of Wollongong. This is RDOS V7.50, which I honestly don’t know anything about… I retrieved this OS from the archive rdosswre.tgz . Being one of the first versions of Unix it’s super primitive, however I thought it was interesting to include in this SIMH sampler to see just how far UNIX has progressed, and just how much is the same. ‘list’ command… I retrieved this from the file os8swre.tgz . 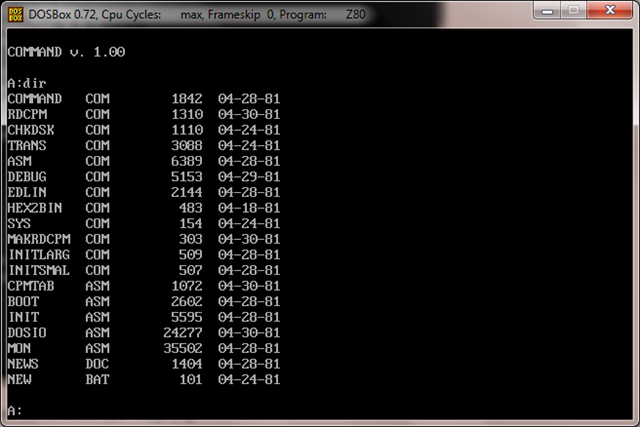 This is the MicroVAX II emulator with a miniroot of Quasijarus 0c. It’s not exactly fully functional in this state, but it’s enough to exercise the emulator, and boot up from disk. I’ve configured the NVram so it will just boot up by default. I have left the installation tape image as quas.tap. Please note that this is *NOT* enough for a full install, this is just a demo to check that your system works. MicrovaxII can run its ROM. I’ve been using extracted boot code to get the 11/780 to run. Again because I’m more familiar with Unix, I chose to include BSD 4.2’s miniroot to test functionality. This is really only suitable for testing the emulator out. I extracted the file bootra from the source code, and I took the miniroot file from the tape. ——8<------8<------8<------8<------8<------8< The entire source is in the ‘source’ directory with projects for all of the SIMH material. There are a few emulators that *WILL NOT BUILD* for MS-DOS because of a lack of 64bit integers. I suppose if there is any call for the missing emulators with the DJGPP compiler, assuming that it contains 64bit integer support. It’s completely unverified on my part. I’ve also done some preliminary work on networking with packet network drivers, however I am experiencing some weird timeouts. It’s hard to track down at the moment, but I’ll keep plugging away. I don’t think there is any reason why you would not be able to use OpenWATCOM to build these files. Ok I wanted to do this eventually but now I’ve finally done it. I have constructed something a little complex but it works surprisingly well. Ok I’m going to assume you can install & configure OpenVPN on your own. I did a really simple install on Proxmox VE, just be sure to use the e1000 network adapters. All the others gave me tones of errors with any sizable traffic. Also I should point out that I’m using OpenBSD 4.3 which is the latest as of today. Again I just followed the example from the OpenVPN site to set this up. What makes this different though is the fact that I’m using this in a bridge mode. As you can see I have told OpenVPN that it is to use the tun0 interface as a ‘tap’ driver. This sets up an ISA computer with 16 megaybtes of ram and a single ISA nic that will utilize libpcap to send out frames on the rtl80291 that’s being emulated to my NT terminal server by proxmox. On the ‘client’ side of things, I’m running the 64 bit version of Vista. So I’ve installed the OpenVPN that not only has 64 bit device drivers, but has a nice little GUI to connect & disconnect from the networks. Here is the OpenVPN config that is on my laptop. Ok, so far so good. Now I do have Virtual PC 2007 on my laptop, and I have made sure that the “Virtual Machine Network Services” were bound to the “TAP-Win32 Adapter V9” interface. The it’s a simple matter of connecting to the VPN, then loading up the virtual PC with MS-DOS & the Novell Netware client. Then you should be able to ‘bind’ to the server & login! The ‘cool’ thing about this setup is that it will work over things like wifi, and easily allow you to add clients near & far. Oh and the best part for the wifi crowd is that it will use REAL encryption since WEP/WPA have all been shown to be useless.  Oh yes, and it should allow you to host your DOOM, Quake 1, Rise of the Triad, Warcraft II, and Descent games…. Along with people playing at home! Using this you too can build your own IPX/Internet network! I do hope this clears some of the uses & versility of Virtual servers, Qemu & Virtual Networking. 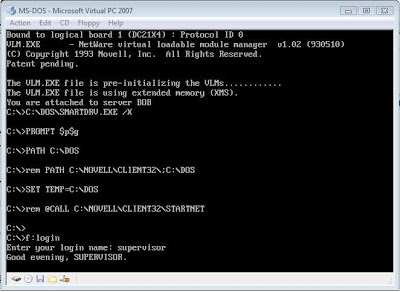 Author neozeedPosted on October 17, 2008 January 15, 2015 Categories MS-DOS, netware, Novell Netware 3.12, pcap, proxmox, qemu5 Comments on Some fun networking with MS-DOS & Novell Netware. It’s been a long while, life has been busy. But I figured I ought to try to make a post this year! Ok, I’ve gotten a new laptop over the last few months & I’m running the 64 bit version of Vista. One or the first things us old people will find is that the MS-DOS & Win16 subsystems have been completely removed. This of course, poses a massive problem! How to play games!!!!? Thankfully there exists two really great solutions for Vista 64bit users. The first one I’ll suggest is Virtual PC from Microsoft, and DosBox. It’s no wonder Microsoft has made Virtual PC a free download (http://www.microsoft.com/windows/products/winfamily/virtualpc/default.mspx) since they have crippled the compatibility of the OS. Now I’m personally a little biased for Virtual PC as I’ve been using it since it was owned by Connectix. Virtual PC is a complete PC emulation strategy, allowing you to run MS-DOS or quite a few other operating systems. For this example I’m going to install MS-DOS, but it’s capable of running all kinds of other operating systems. Now back to my laptop. It of course doesn’t come with floppy drives, so I used an older PC with a drive to create disk images. (it was running OpenBSD so I just ran ‘dd’. Winimage is capable of creating disk images as well). Of course I could use a USB floppy drive and boot my MS-DOS 6.22 floppies from that as well. The cool thing is that you can setup a virtual machine, boot off either real floppies or virtual disks, and you will need to setup a virtual hard disk. Naturally it will need partitioning, and formatting. As for installing games, again if you have floppies of them, everything is cool. There even is an emulated CD-ROM device, however you will need a device driver to use it! (http://www.google.com/search?q=idecd.sys) Virtual PC emulates an IDE CD-ROM, and you can use just about any driver you can find out there. Once you can read CD-ROM’s under the emulated MS-DOS you can install the ‘extensions’ program, which has an idle program (to stop the emulator from consuming 100% of your CPU, as MS-DOS has no inherent idle loop), and a neat program called fshare. Fshare will allow you to give your emulated PC access to a directory on the host computer. The plus’s of Virtual PC is that it’s a more accurate emulation, it provides sound blaster pro emulation, and good psudo device emulation. The major downside for me is that it provides no joystick emulation. Of course you’ll need to bring your own DOS, however I imagine that freedos (http://www.freedos.org/) ought to work just fine, but I kind of like the real thing. The second emulator I’d like to mention is DOSBox (http://www.dosbox.com/). Unlike Virtual PC, DOSBox is not a complete system emulator, it’s designed specifically to run MS-DOS programs. So you will not need a copy of MS-DOS, nor will you need to worry about such hassles as media, or emulated hard disks. This will make my “c” drive a dos directory in my home directory on Vista, and change the current directory there. From here I can unzip any of the old programs I have, or just copy from CD to my vista directory and just run things. Overall DOSBox has pretty good compatibility. I’ve even run Windows 3.1, and some compiler & development stuff. And yes, it supports Joysticks & the emulation of various sound cards. DOSBox also has various throttle and various video emulation strategies. The other cool thing DOSBox can do is setup a virtual IPX/SPX network, and allow you to play old DOS multiplayer games over the internet. Warcraft 2 & Doom work quite nice under DOSBox. While Virtual PC does provide virtual Ethernet interfaces, it does not provide a way to connect them up over the internet. While it could be done with loopback adapters & PPTP routing, it would be way beyond the average user. DOSBox can listen on a specified TCP port, you can setup your internet router to redirect that port to the host PC, then allow your friends to connect in. While I can understand Microsoft’s desire to cut all ties with past OS’s in terms of support, It’s a good thing that there still exists an emulation strategy for the two of us. And between DOSBox and Virtual PC hopefully your needs will be met. *Yes I’m aware of VMWare, however it’s not technically free, and while you can create your own config files, and disk images in Qemu, and install your own OS, it’s not the ‘right’ thing to do according to the EULA.